On 9th March at 1.55 am UTC time we will have the New Moon in Pisces. From the energetic point of view a new moon is a symbolic point of attention because it represents the end of the old and a portal for new beginnings. It’s a time of gathering our thoughts, planning our movement, and getting ready for announcing it at Crescent Moon. This moon is very characteristic because it is a Super Moon, meaning it is closest to Earth and so it will have a stronger effect on the tides, on our bodies and emotions, but it will also manifest the first of four eclipses this year. The eclipse, which will fall at 18°55’ in Pisces, will begin at 23:19 UTC on March 8 and its maximum point will take place at 01:59 UTC on March 9 having a total duration of 4 minutes and 9 seconds. Pisces is the 12th Zodiac sign and it is associated to Magenta in the language of colour. Pisces is a dual sign and it marks a triangular place in heavens, which is the symbol of reality. From the esoteric point of view it represents the death to the personality and the possibility of the fusion or blending of soul and personality (the form), producing the expression of the Christ Consciousness (the Soul) in the body of man, the perfected individual soul. The soul stands between two great aspects, Spirit and matter, and it has the function to act as a bridge between the two for the manifestation of the Greatest Life within each of us in order to manifest our Divine purpose and end forever the darkness of matter. 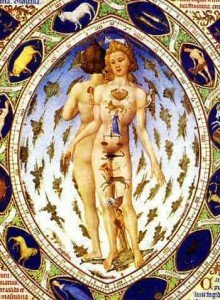 The call into manifestation expressed by Pisces is to refine and create a proper vehicle out of the Personality for the revelation of the purpose of the Soul. From the colour language point of view, magenta is associated to the soul star – a star which lies above the top of our head and which contains the blueprint for the life and the whole of the history of our soul through time – to grace and gratefulness, love from above and love in the little things. In the Aura-Soma colour-care system® we say that, as we connect to the Incarnational Star, which lies in the area around the navel, and centre on the body, we download the information coming from the Soul Star. The concept of dying to the personality and the fusion between the personality and the soul (the magenta energy) expresses this idea and underlines the fact that we are not the victim of our life, but that everything is part of the unfoldment of our mission and purpose in this life, as it has been written and carried with us in the magenta area of our subtle body. For that reason we have to feel the gratefulness and the love from above manifested in every situation that we live, as it was planned to be experienced in order to help us rise in consciousness. Pisces rules the feet, expressing the idea of treading the Path and attaining the goal that has been the underlying our spiritual journey in this life. It means the possibility of grounding the magenta energy of the soul star and start treading the spiritual path with caring, attention and gratefulness, as only in this way we can manifest what we are come here to do and the way to do it. The contribution of the solar eclipse focuses on the healing of a deep wound in our being, which is represented by Chiron. 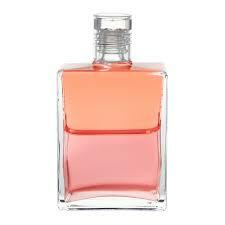 Chiron is the wounded healer, and it is associated to the Equilibrium bottle 87 in the Aura-Soma colour-care system®. Bottle 87 tells us that we might experience a feeling of unrequited love in relation to something that started in the past or is manifesting in the present, and it reminds us of accepting things as they are to bring a new consciousness to the situation. This may be a wound affecting your body, mind or spirit. If we tell ourselves that we do not need to suffer so much, we release the martyrdom aspect of the Piscean influence and allow the spiritual transformation for the evolution of our soul. The Sun and the Moon will be affected also by the energy of Neptune, which will be standing at 9 degrees in Pisces. 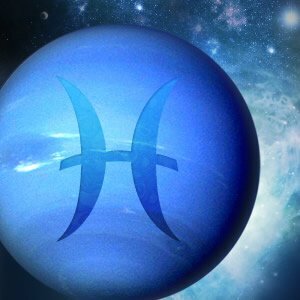 Neptune helps us see beyond our illusions and be compassionate towards ourselves and others, to open our Hearts and allow the unfoldment of the Greatest Life to take place as it has to. Neptune brings the Love of the Soul in the situation giving us spiritual sustenance, assisting us in giving birth to the Christ consciousness (the soul) within us. Pluto and Jupiter will give us faith to proceed into the process of inner transformation and help us move towards the new stage of our life with more compassion and Love. 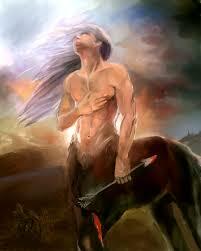 Pisces is associated to the Christ, the opening of the Spiritual Heart through the soul contact within. We are being called to “feel” the two fishes within us – the personality and the soul: the joy and the grief, the sense of wholeness and the wounds, the peace and the conflict. Only in this way we can and allow ourselves to be, to love ourselves and be transformed and renewed by the Love, the Divine, that we carry within, and liberate ourselves from what does it is not part of us and that it is not part of our soul journey.